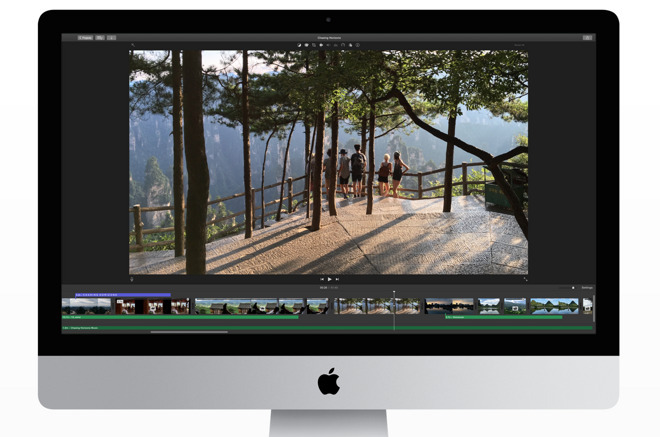 iMovie for Mac was updated to version 10.1 on Tuesday, adding support for creating and sharing movies at 4K resolution of 3,840 by 2,160 pixels. 4K support requires a Mac from 2011 or later with at least 4 gigabytes of RAM, and 4K playback is supported on iMac with Retina display and the latest Mac Pro when connected to a 4K display. 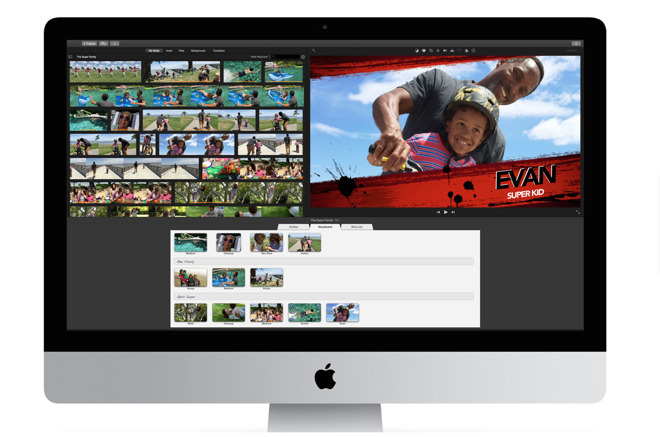 iMovie 10.1 also adds the ability to create and share movies with 1080p HD video at 60 frames per second. And those with an iMac with 5K Retina display gain pixel-for-pixel 4K video viewing capabilities. Users can also import both movies and trailers started on iMovie for iOS to their Mac. That means users can start editing on an iOS device, then finish the project on their Mac. The new iMovie update also boasts a redesigned Media view that lets users see more of their library while browsing photos and videos. Projects view also makes it easier to find and open movies and trailers. Apple has also added Tabs in the Browser to give users faster access to titles, backgrounds, transitions, and music while editing a movie. There is also an option to hide Browser while editing a movie. iMovie 10.1 has added 10 additional video filters brought over from iMovie for iOS. It's a free update for those who already own iMovie, which comes for free with all new Mac purchases.